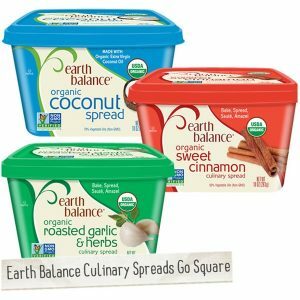 Note that the packaging of Earth Balance Organic Culinary Spreads was updated to these new square tubs, but the buttery product inside remained the same. So though my pictures below show the round tubs, the texture and performance are still as shown! Years ago, Earth Balance descended upon the dairy-free market as the first mainstream vegan butter alternative that didn’t contain trans fats. Today, they are still the clear leader and charging ahead with new products at a rapid pace. Not long ago I reported on their first soy-free, dairy-free alternative, and now I’m happy to share their “next generation” margarine, otherwise known as Earth Balance Organic Culinary Spreads. The first option isn’t brand new, but it’s still pretty darn awesome. This Earth Balance Organic condiment is another soy-free gem, and made with beloved coconut oil. 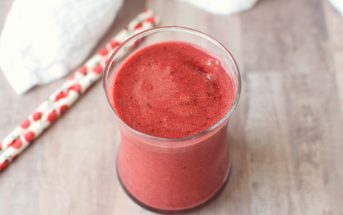 Coconut is one of the few plants that is rich in saturated fats (lauric acid, which is now being boasted as a “healthy” saturated fat), giving it a more decadent mouth feel than most vegetable, seed, and nut oils. If you are looking for a pure coconut product, then straight coconut butter is what you are seeking. But for a more direct margarine/butter alternative, this Earth Balance spread is perfect. 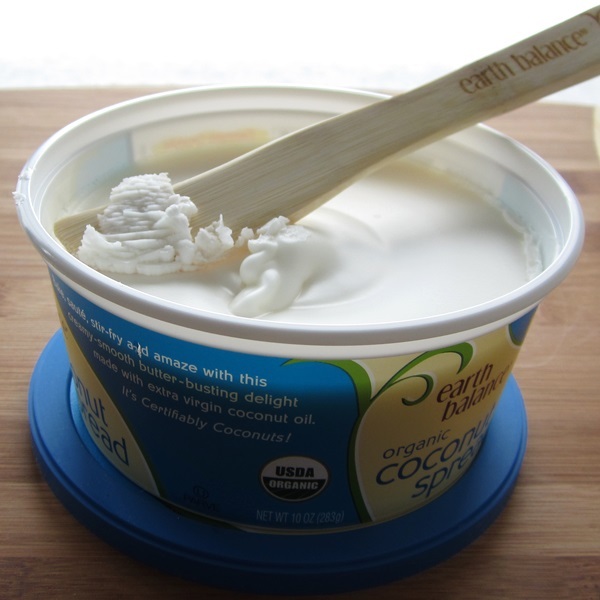 The flavor of the Coconut Spread is pleasant, lightly salted, fairly rich, and relatively mellow. It is just a little bit different from the other margarines in taste. It is hard to describe why, so I suggest giving it a test for yourself. Even with the softer blend of oils, it doesn’t scoop quite as smoothly as other tub margarines when cold. 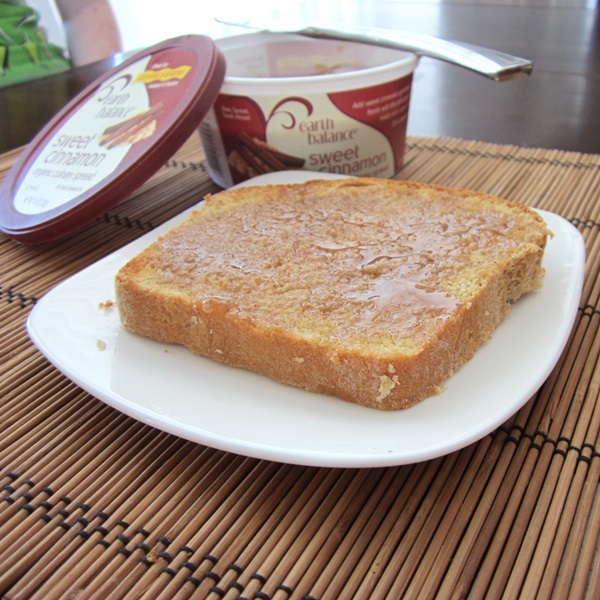 But once it warms up, this spread is actually softer than butter or margarine. 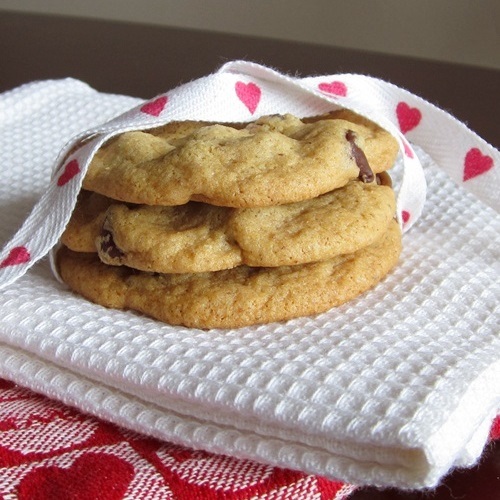 When I used a hand mixer to make cookie dough, the dough quickly became “whipped” – still scoopable, but much creamier and softer than I expected from cookie dough. When needed, a quick chill in the fridge firms it right back up! For a savory test, I dolloped the Earth Balance Organic Coconut Spread on these Roasted Carrots and Parsnips once cooked. My husband DEVOURED them and is now a converted carrot and parsnip fan. Unlike the Coconut Spread, this culinary spread is based on palm oil followed by soy oil. Yes, unfortunately for those of you with soy allergies, these next two culinary spreads do contain soy! They are organic and non-GMO, but I was still surprised that Earth Balance didn’t stick with their coconut formula. However, the Sweet Cinnamon culinary spread tastes amazing! 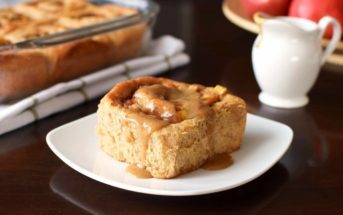 It has a darker brown hue thanks to the generous infusion of cinnamon and is surprisingly sweet, even though there are just 3 grams of sugars in a tablespoon. We never got the chance to trial it in recipes, as my niece Kylie sequestered it for her homemade whole wheat bread. She had it on toast nearly every day until the entire tub had vanished, and proclaimed that she would be harassing me for more. When tasted straight, this Earth Balance Organic spread has an intense, slightly salty, garlic flavor with generous flecks of herbs. But when trialed as a finishing touch on rice, the flavor melted away. It left us with a bigger craving for garlic. The flavor was also too mellow on corn, but we found that it did shine on toast! It made delicious garlic bread with ease. I had mixed feelings about it on popcorn. The flavor was divine, but because it melts more like butter, it was a little gloppy for drizzling. Straight coconut oil tends to disperse better. But, because it is more “butter-like” in consistency, I think it could work quite well in savory recipes that call for butter or margarine. 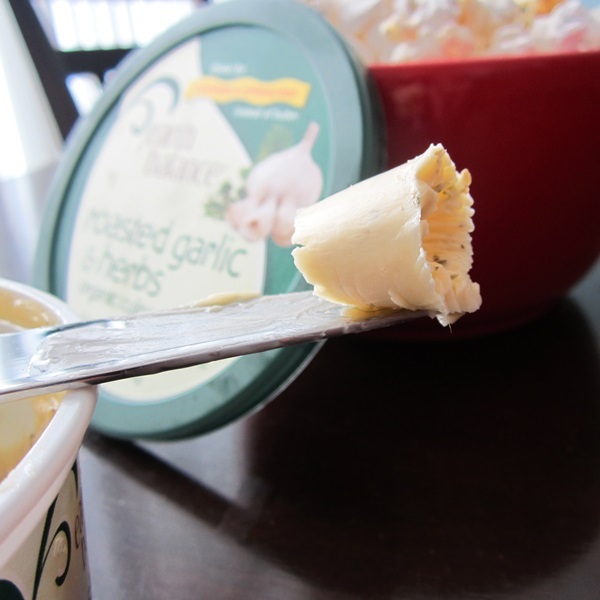 Consistency-wise, this is also the softest and most spreadable of the culinary spread lot. Certifications: Earth Balance Organic Culinary Spreads are Certified Organic and Non-GMO Project Verified. They are labeled as gluten-free and vegan, but we did not note any certifications for these. Dietary Notes: By ingredients, the Earth Balance Organic Culinary Spreads are vegan, vegetarian, dairy-free, egg-free, gluten-free, peanut-free, and tree nut-free. The coconut version is also soy-free. Nonetheless, check with the company on their manufacturing processes for all varieties if potential allergen cross-contamination is an issue for you. Processes and labeling are subject to change at any time for any company / product. For More Product Information: Visit the Follow Your Heart website at www.earthbalancenatural.com. The dairy-free margarine industry has stepped up a notch with these new spreads. 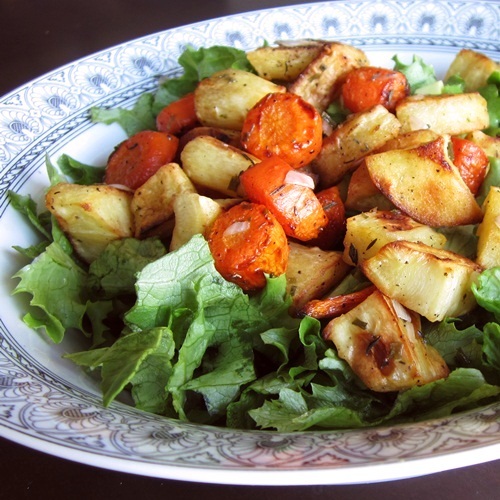 The Coconut is a delicious soy-free option that works like a dream in recipes. The other two flavors do contain palm oil and soy oil (instead of coconut), but add more spreadability and delicious “finishing” ingredients. I live in New York and used to buy the “Earth Balance Organic Garlic and Roasted Herb culinary spread” from Mrs Green’s (local organic grocery store) and Fairway supermarket but it’s been a month since I’ve been unable to find it at those food markets. Can you PLEASE put me in touch with the manufacturer or someone who can find me this butter for me to buy? I need to stock up and buy half dozen tubs of this culinary spread. Looking forward to hearing from you. I really like this brand. The flavor is really good. One of my friends with my same allergy introduced me to it after I found out about my allergy. I didn’t know what the substitute was. I do want to try the cinnamon sometime. You don’t see that with traditional spreads. Hi Katrins, if you click through to the company website, they should be able to help you out. We aren’t affiliated with the company so I wouldn’t be able to help with distribution questions. 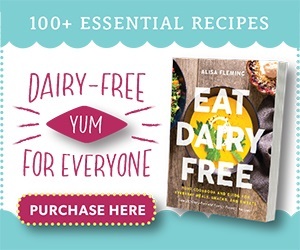 Alisa, do you know if the coconut spread is actually dairy free(no milk protein) since it only says ‘lactose free'(no milk sugar?). 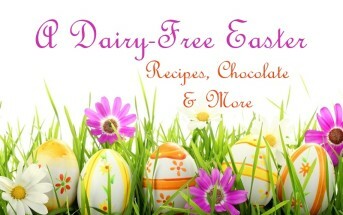 MB, I only post dairy-free items on Go Dairy Free – this means no casein, lactose, whey, etc. Earth Balance is a completely dairy-free brand (no milk protein). See their website for details and ingredients! I was looking these over in Krogers yesterday with my grandma as she reciently was told she developed an allergy to milk. Several of them contain casien, the coconut spread one doesn’t though. There’s also one by smart balance that is entirely dairy free. Hi Jeff, so sweet of you to help your grandma out! 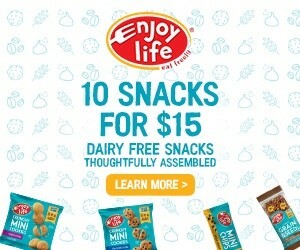 I think you were either looking at a different brand or misinterpreted the ingredients – all Earth Balance products are dairy-free, and do not contain any casein (milk protein). However, most of the Smart Balance products do (just a couple are dairy-free with that brand). Enjoy! The coconut one is great, too! We discovered this on an outing to Whole Foods last week! There was actually someone giving samples of it spread on toast and I fell in LOVE with it! Such a light hint of coconut essence, but enough to really bring out the flavors in veggies and stir fry! I am making a ginger coconut tilapia tonight and I think it is gonna be great too! 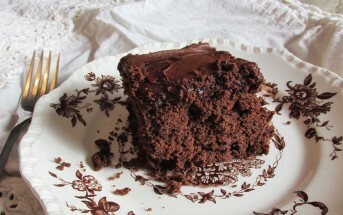 No cholesterol and less cals was a good enough reason for us to get it! We had the Organic Coconut Spread on vacation and loved it! So buttery and good. The only Earth Balance product I use pretty much every day is the soy-free tub of “butter.” I have to drive 15 miles away to get it because no one carries the soy-free version, but I really like the product. I’m not a huge fan of coconut though, to be honest. but the garlic and herb tub flavor above would be good in my rice bowls I think. I probably won’t spend the money on it, but I wouldn’t be opposed to the option! Would love to know where I could get the other flavors. I’ve never even seen them. They’re new – but in Whole Foods stores now, and I’m sure distribution will pick up to other grocers.